On the sixth day of Christmas, Mother Nature gave to me… experiences to share with my outdoor family! If you’re anything like me, coming up with a list of what everyone wants isn’t an easy thing. Most of the things we want are experiences. Those can get expensive, when you’re talking about a whole family. But, here are some excellent gift ideas for outdoor families that won’t clutter up the house and provide a lifetime of memories and knowledge. If you’re in Georgia, check out this local guide for 16 inexpensive Georgia experience gifts! 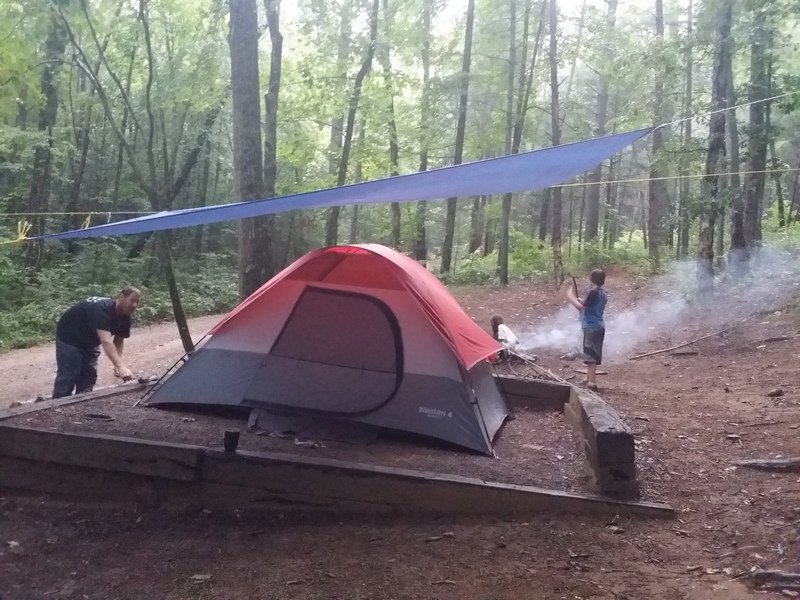 Our Georgia State Parks have charges for parking, camping, renting cabins (and equipment like canoes or kayaks). You can help a family experience the state parks by purchasing a gift membership/parking pass or giving state park gift cards that can be used toward camping reservations and other equipment rentals. Outdoor Education Classes such as REI Outdoor School (Price Varies)– Furthering our outdoor education is important to outdoor families. We want to ensure we’re prepared to be safe out there. REI Outdoor School (and other outdoor education centers) offer classes on just about everything from Wilderness First Aid to Mountain Biking, Backpacking and Kayaking. If there is no REI near you, google Outdoor School or Outdoor Education for other classes near you. National Parks and Recreation Area Passes ($35-$80)– There are a couple of ideas, here. These are annual passes that offer access to National Parks and Public Lands. The official nationwide, “America The Beautiful,” National Parks Pass will give a family access to any of the US National Parks for one full year. Some National Recreation Areas, such as our local Chattahoochee National Recreation Areas, have their very own (less expensive) annual pass that costs less than a full-fledged American The Beautiful National Park Pass. 4. Local Zoo or Aquarium Tickets/Memberships (Approx $100-$150)– When outdoor families aren’t camping out and hiking the trails, they can be found enhancing their understanding of wildlife through zoos and aquariums. 5. Nature Center or Botanical Gardens Tickets/Membership (Approx $50-$100) – In Georgia, we have several nature centers and botanical gardens that offer year-round programs for families. Find one near you! 6. Regional Field Guides (Approx $5-$15) – Field guides are books that help us identify things in the environment such as animals, birds, flowers, trees, and rocks. I list it as an experience because having access to field guides and using them to enhance our knowledge is an excellent experience. Most of them are regional and inexpensive. You can find them at any book store. I love this idea! We don’t do a lot of gifts as the kids have enough of everything and we don’t want to promote greediness. Instead, we have season’s passes to 2 ski hills, a national park pass, and until this year, we had annual memberships to the Science Centre and Zoo (my oldest is in school now so we don’t go weekly like before). Our mountain adventures are a gift to all of us!